The Chan Hall overlooks the rest of the campus. 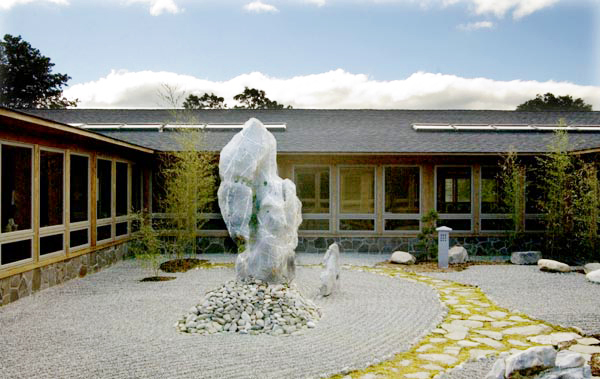 As our main meditation hall, the Chan Hall also serves as a multipurpose center for demonstrations, discussions, and teachings. Inside, the hall houses our large, beautiful altar and about five thousand square feet of meditation space. Cushions and backless chairs are provided. Hallways leading from the meditation area all look into the enclosed Zen Garden. The Zen Garden provides a tranquil inner scene in an enclosed courtyard at the Chan Hall. It can be viewed from four sides through the inner windows of the Chan Hall and the three hallways. The garden is maintained in a traditional style, with foliage and design considerations that compliment our upstate climate. The ground floor of the Reception Hall contains the visitors’ reception area, the administrative offices, the library, and the adjacent Contemplation Hall. 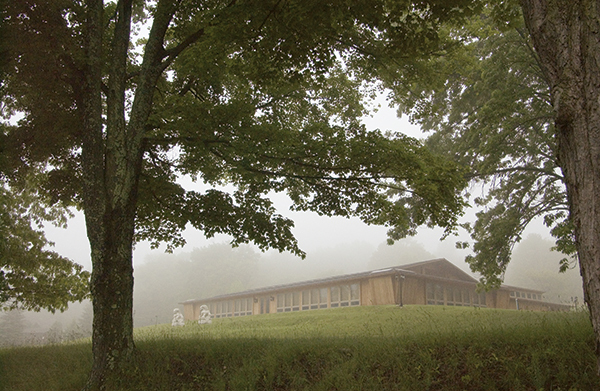 You will need to register in the reception area when you first arrive for a retreat or workshop. Free literature is available here about Dharma Drum; small publications for study and daily reflection by Master Sheng Yen. The sitting area is available for meetings and socializing. The library contains texts in both English & Chinese, including some key titles of Chan Master Sheng Yen’s many publications. You are welcome to sit and read in the library. The second floor is reserved for sleeping quarters and visitors are respectfully asked not to go upstairs. 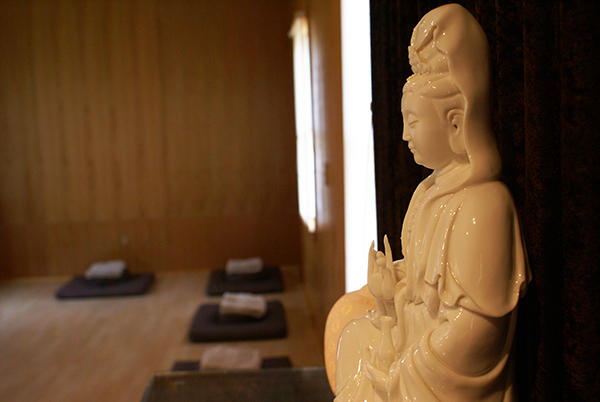 The serene Contemplation Hall, adjacent to the Reception Hall, is an additional meditation space for individual and small group use. Staffed regularly by volunteer chefs and center residents, the modern kitchen in our Dining Hall is 100% vegetarian. This upholds one of the five Buddhist precepts, to abstain from taking life. 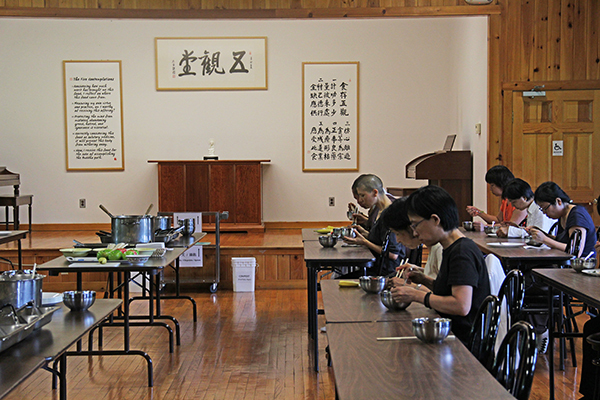 Mindfully prepared, nourishing meals are served in an inviting contemplative space. The Dining Hall is accented by wood floors and beams, exposed brick and interior and exterior fire places. With its raised stage and altar area, the Dining Hall is also used for events and lectures. 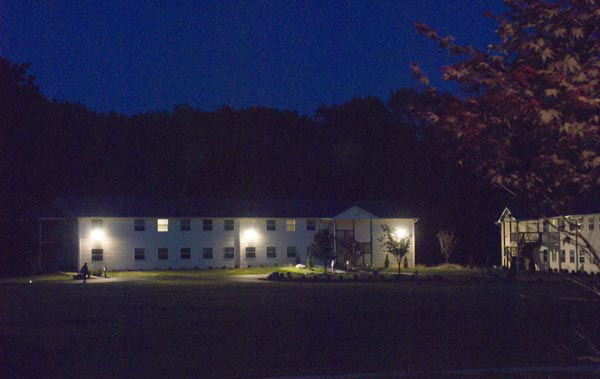 Comfortable and basic accommodations are provided for retreat participants and center residents. Men and women are housed in separate dormitories, each accommodating up to forty guests. Sleeping rooms are private and single-occupancy; while bathroom facilities are communal. Each dorm has a drinking station which dispenses hot and cold filtered water. These are non-smoking facilities, as is the entire center. 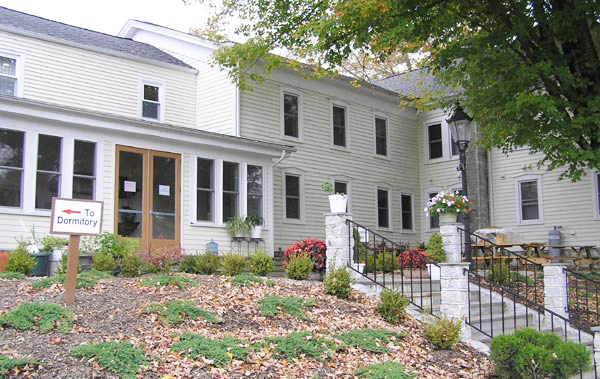 The Sangha House is an updated bungalow style home situated near the Chan Hall. It is one of the first buildings you see on the left when you enter the campus. This is the Abbot’s and monks’ quarters. Visitors are respectfully asked not to approach the Sangha House. Sitting and walking meditation as well as Dharma study are held both indoors and outdoors, depending on the weather. 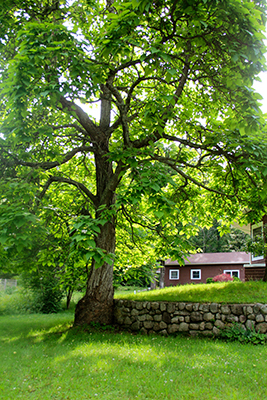 Paved walkways connect all of our buildings, and unpaved footpaths extend into the woods, around the lake and through the property. 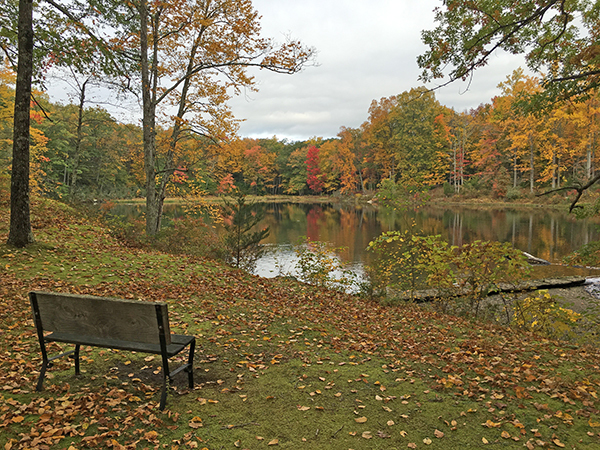 There are benches beside the lake. Visitors are welcome to enjoy the grounds – we simply ask that you respect the flora and fauna by causing as little impact as possible.